I have tried many different ways to boil eggs. I’m extremely picky about them in the fact I hate them cold, unless they are deviled. That makes no sense, but it’s me. I like a plate of hard boiled eggs, warm from cooking, halved, with salt and pepper. To me, there’s no other way to eat them. 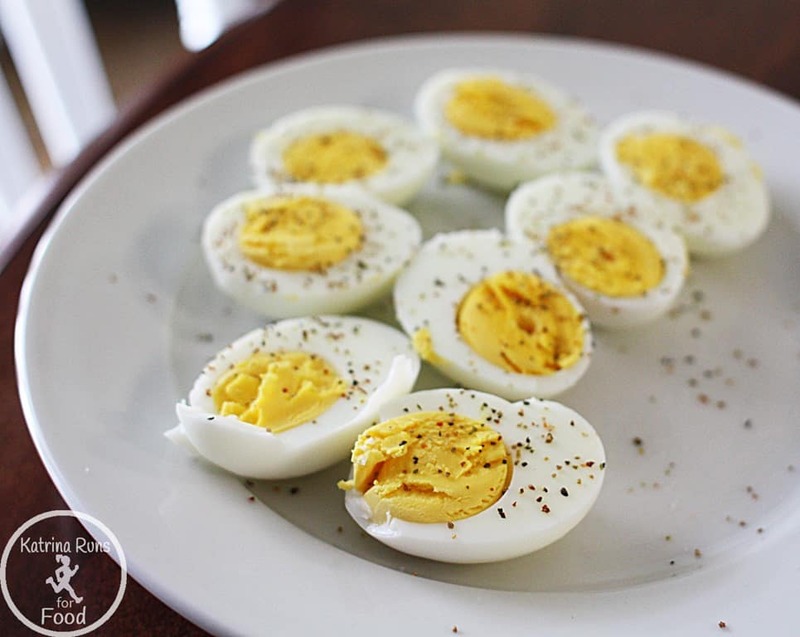 IF some nice lady at church makes a big plate of deviled eggs with pickles, I would graciously eat 6 of them. But since that doesn’t happen every day, I’m left to my own devices of boiling them and eating them immediately. 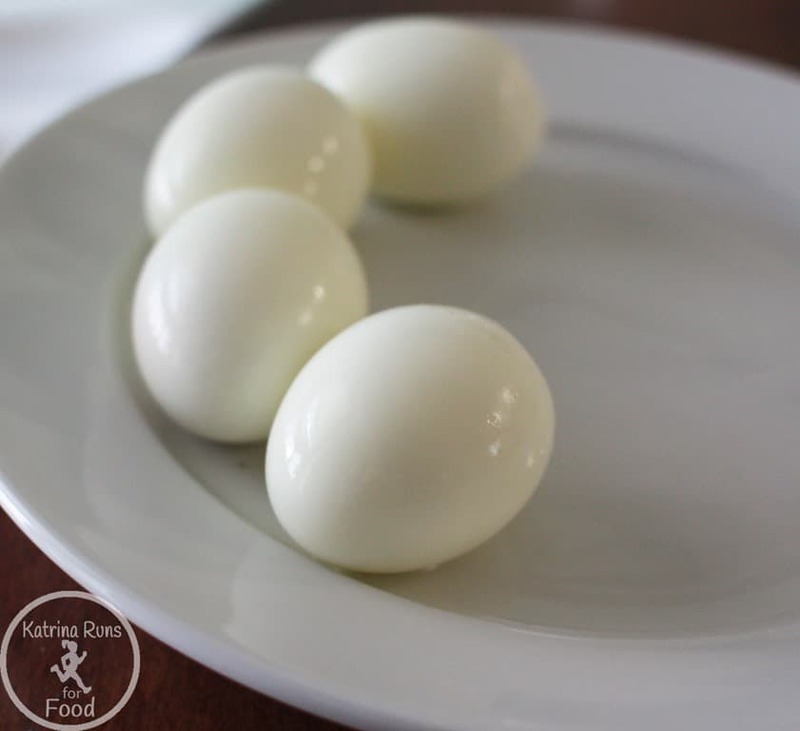 For years, I absolutely hated boiled eggs because they smelled bad and had green tint to them. That’s just not appetizing. 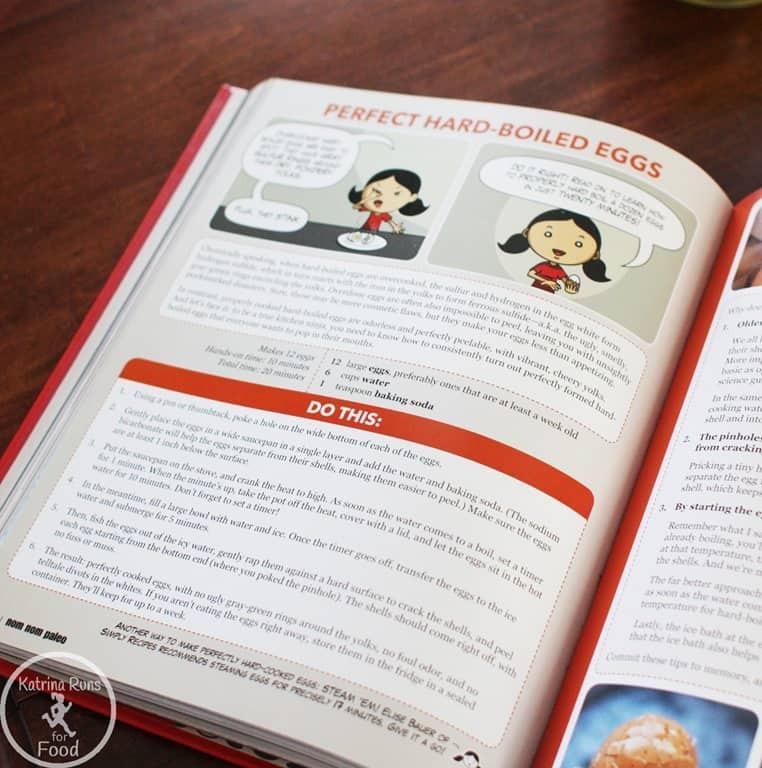 A few years ago, in a tiny apartment in Memphis, I saw Rachel Ray boil eggs and I was ecstatic. 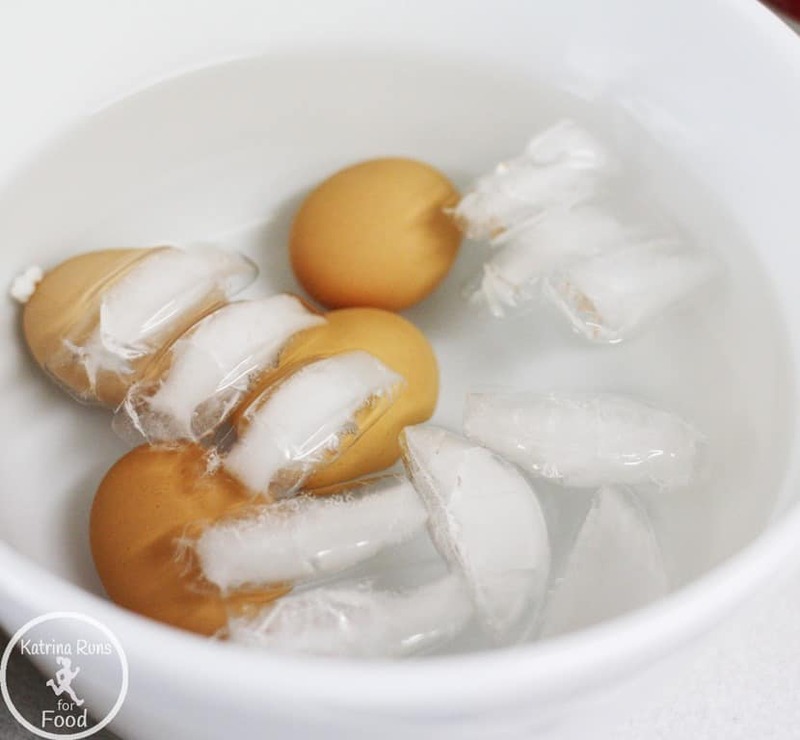 I tried her method and they turned out GREAT…except I could never get them to peel neatly. 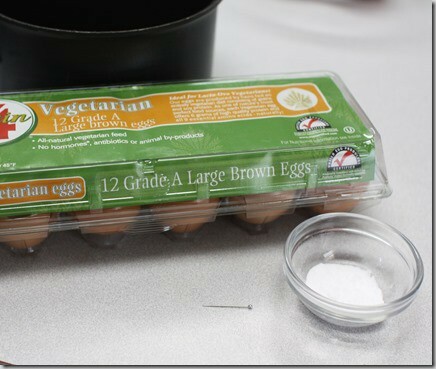 I had great tasting, no green, no smell eggs but they would never be picture perfect. Older eggs. 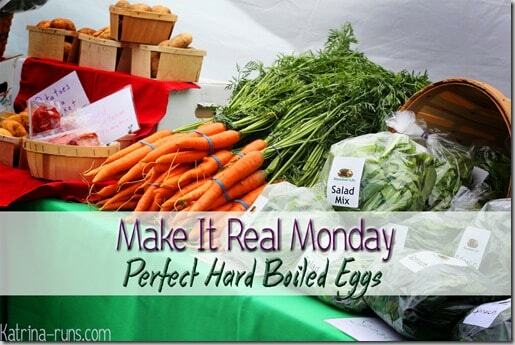 Any eggs from the supermarket will work. These are always at least a month old. 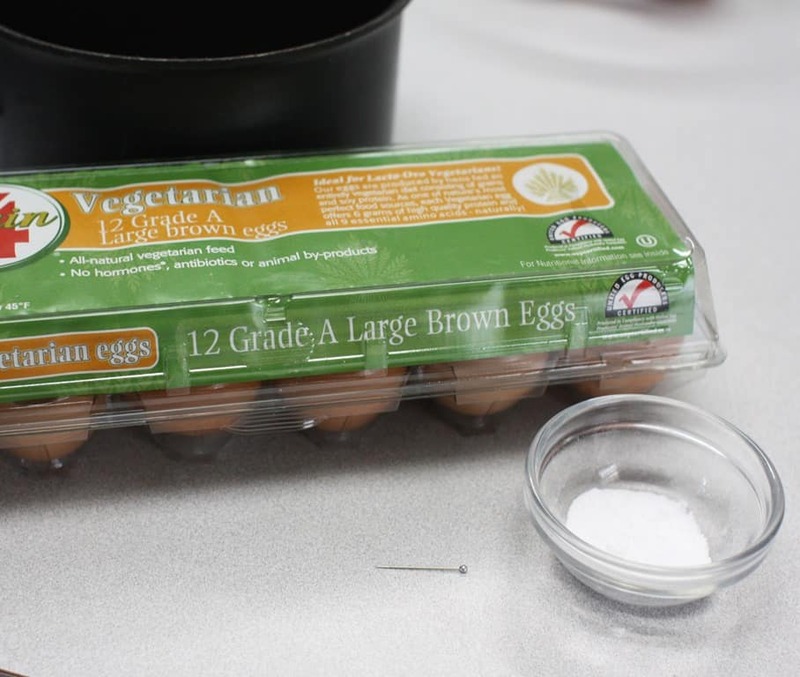 Fresh eggs from the farmer’s market are not ideal for this method. Big bowl with ice water. 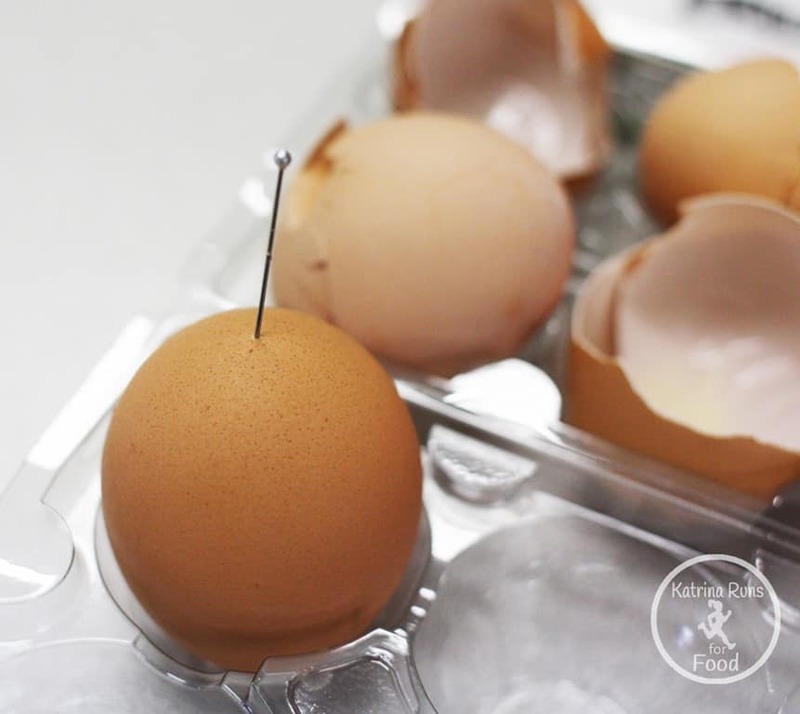 Poke a hole in the wider part of each egg. 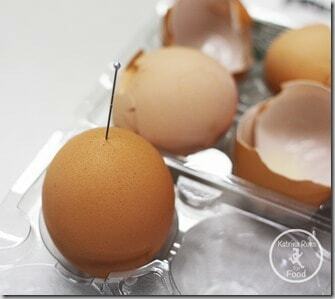 I keep the egg in the carton to hold it steady while I stick. 2. 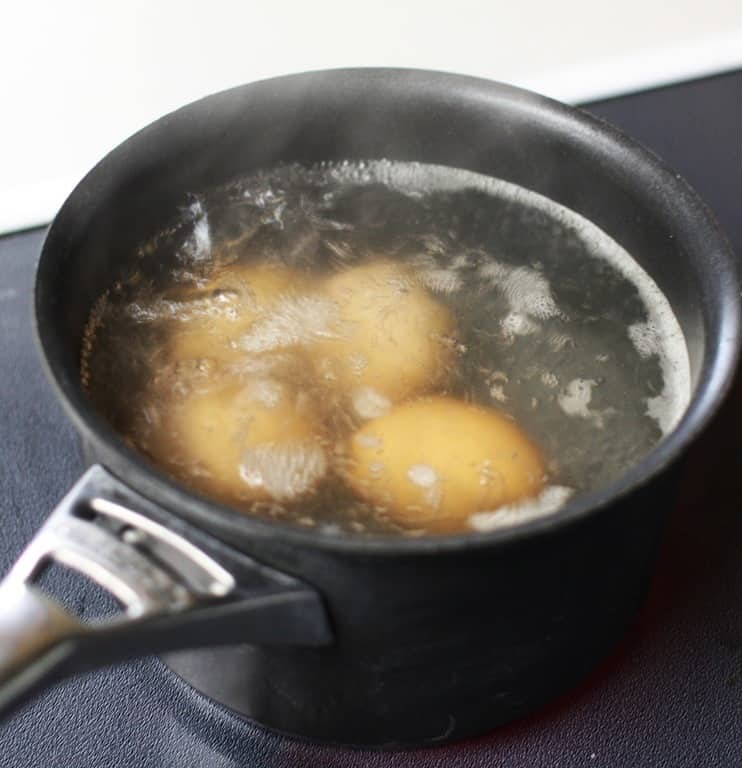 Place the eggs in a shallow pot and cover with water with at least 1 inch of water covering them. Add baking soda. 3. DO NOT COVER. Place the pot on the stove and turn the heat on high. 4. Wait for it to come to a gently rolling boil. 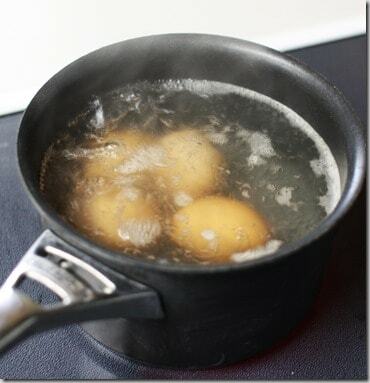 Boil for 1 minute. Time yourself. 5. Remove from heat. Cover. Set timer for 10 minutes. SET TIMER. 6. After 10 minutes, remove eggs to the bowl with ice water for 5 minutes. 7. After 5 minutes, take them out and start peeing. Gently tap all around. Start at the wide end with the pin whole. They should peel off in one long peel. 8. Slice and eat! They will still be warm. The more you do this, the easier it becomes. Now, I no longer look at a recipe. I just start boiling and patiently wait to eat them!